Ireland Has a New SuperNanny – And She’s More than just a Fairy Godmother! Bringing a wealth of knowledge and years of experience to help you in your child’s first special years with the confidence you need to overcome any hurdle, Niamh O’Reilly combines the practicality of Mary Poppins, the humour of Mrs Doubtfire and the magic of Nanny McPhee to bring you back from the brink of total sleep deprivation and the constant stress and worry from the daily toil of being a Mum or Dad. With approx 80,000 babies born in Ireland each year that makes for a lot of exhausted, and emotionally drained parents wandering around trying to make sense of the new found world they find themselves in! Parenthood is easy if you have literally nothing else to do for the next 20 years but if you are hitting the wall, tearing your hair out and are in danger of actually becoming stark raving mad then you need the services of Niamh O’Reilly. Sleep problems with babies and toddlers can be the result of a lack of routine or food and behavioural issues which Niamh can observe, analyze and find a solution that will work for you. 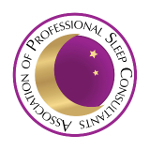 Specifically in the case of sleep training, Niamh will come to your home and observe the sleep time routines either day or night, spend a few hours with the family and draw up a tailor made plan – there is no ‘one fix fits all’ as each family’s needs are unique. Niamh will give practical advice, reassurance and simple yet effective techniques to help you deal with the various challenges thrown at you. Sometimes, all a family needs is some structure and some practice at working together to get back on track and Niamh can give you the confidence to do just that. You and your child are learning so much about each other in the first years and Supernanny Niamh gives you advice and information from parents and health experts on how to keep your child healthy, what to look out for and keeping you one step ahead of the developmental milestones in these early years. Niamh is a godsend. Her kind, gentle, practical and approachable manner makes her the perfect candidate to help you on the path to a calmer and happier family life. 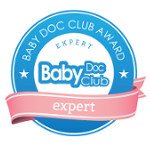 Don’t let your lives be dictated by the one wearing the nappy…with a little professional, practical and friendly help from Niamh, you can take back control and bring up your child with the confidence and reassurance that you are doing things right (or at least right enough that it works for you and your family!). Niamh also has a Certificate in Business Studies with French from LSB College and a Diploma in Human Resource Management from the National College of Ireland. She recently completed a course in Digital Marketing with the Fingal County Enterprise Board. Niamh has appeared on Four Live on RTE One (2011) along with Ireland AM (2014) and The Morning Show on TV3 (2012). 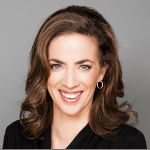 She has also been featured on RTE Radio with Pat Kenny and was a regular contributor to Tom Dunne’s show on Newstalk FM, where he has described her as “The Sleep Doctor”. 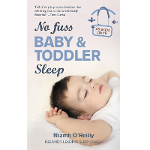 She has been in conversation with Ryan Tubridy on his 2FM radio show talking about the things parents do to get their children to sleep. She has also been regularly found on East Coast FM with Declan Meehan, q102, Today FM (and Phantom FM) with Alison Curtis and regularly chats on 4FM with Suzanne Kane. Niamh has had many articles published in local and National newspapers (Irish Independent, The Star, Sunday Business Post, Southside People, Bray People); magazines such as Easy Parenting, Oh Baby! 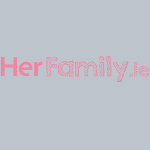 Maternity and Infant, Irish Parent Magazine and Woman’s Way and is a regular writer and Team Member of www.Parent.ie. Niamh is currently the Sleep Expert with HerFamily.ie – Practical Positive Parenting and is a member of the International Association of Professional Sleep Consultants.